Whether it's country, rock and roll, gospel or blues, singer-songwriters today have a man…a Man in Black…that paved the road to success. The heartfelt rebel from Arkansas, Johnny Cash is a world-wide icon known for more than just his deep voice and outlaw image. Here are 10 interesting (and random) facts you probably didn’t know about Mr. Johnny Cash. His signature all-black duds started as as a good luck charm after wearing a black shirt and jeans for his first public performance. Cash served a total of 7 nights in jail for different incidents, but was never in prison. He purchased his first guitar in Germany for 20 deutschemarks (In American money, that’s 5 bucks). He met his first wife, Vivian, at a San Antonio skating rink. Cash was attacked by an ostrich and suffered five broken ribs and internal bleeding. June Carter Cash, Johnny’s second wife, was President Jimmy Carter’s cousin. However, Richard Nixon was Cash’s favorite president. Cash was a backstage mentor for Dolly Parton at her first Grand Ole Opry performance. 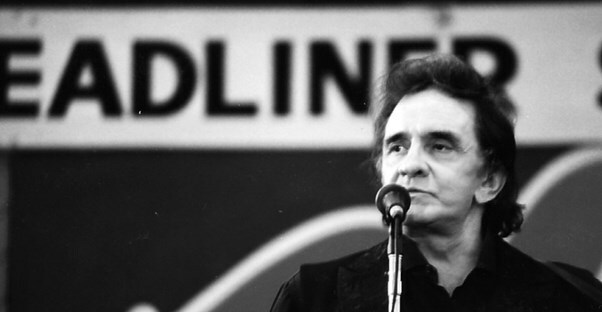 “Hello, I’m Johnny Cash” debuted at his Folsom Prison concert. Cash and Waylon Jennings lived together in an apartment in Nashville. Five Favorites From "Walk the Line"